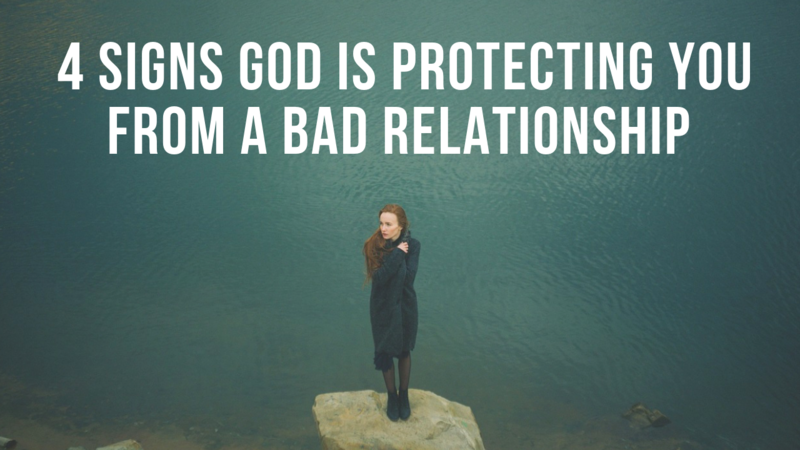 How can you tell if God is protecting you from a bad relationship? What signs will be present if God is actually sparing you pain by not allowing a relationship to progress forward in your life? Here are 4 signs God is protecting you from a bad relationship. While it can be hurtful for someone you really liked to get mad and leave you, in reality this is God protecting you from getting further attached to someone who is not prepared to have a godly relationship. Perhaps you thought this new relationship would result in marriage. Perhaps you thought this guy was the one. Perhaps you thought you finally met the girl of your dreams. But then all of sudden this person showed you a totally different side to themselves. They get mad at you and totally cut you out of their life. What happened? The way God protects us is by bringing the truth to light. This person didn’t change. This person was like this all the time but they had just not shown you this side of themselves yet. In kindness God allowed you to see this dark side early so he could protect your from a bad relationship. When people warn us not to get involved with a certain person but we do it anyway, we can feel like fools when they end up being right and we were wrong. However, we shouldn’t view it like this. Rather than being humiliated because everyone was right about this relationship, you should see their warnings as confirmation that God ended this relationship because he is protecting you. If everyone was happy about this relationship and saw no red flags but then the relationship failed, it would be far more confusing on what happened. But if those who love you the most had huge concerns about this person and then those concerns were confirmed by this person’s behavior, you can be sure that God did not let this relationship go further because he was protecting you. Another sign that God is protecting you from a bad relationship is when the person you liked starts dating someone else. Perhaps you were talking to a guy and things seemed to be going really well. He was saying all the right things. He was making you believe he was about to ask you to be his girlfriend. And then all of sudden he disappears and starts dating someone else. What happened? As time goes on and you begin to heal from the hurt, you will see that this was actually God protecting you from a bad relationship. Imagine if this guy was talking to all these other girls behind your back and then you started dating him? That would have actually been worse than him leading you on and then dating someone else. If you do not end up with someone, it doesn’t always mean that God was saying this person is bad. It doesn’t mean this person would be a bad husband or wife one day. Rather, it is safe to conclude that this relationship would not have been God’s best for you. This person might be a great spouse one day. They just are not meant to be your spouse one day. God always does what’s best for us. We certainly will not always agree with him. God is always focused on developing our relationship with him first and foremost and this is not always our main concern. Sometimes we will find it difficult to believe that God’s “no” to a prayer request is what’s best for us. 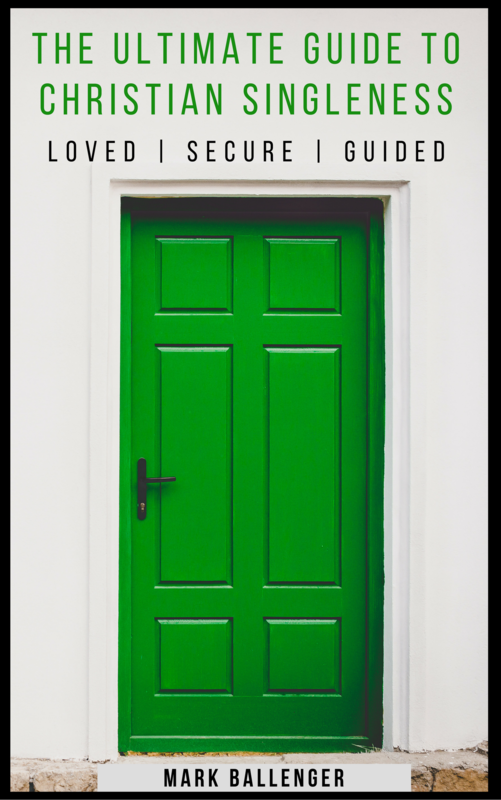 But when we trust God’s love and goodness, we can be certain that God’s only protecting us from a bad relationship. God will answer good prayers that are in alignment with his will. 1 John 5:14 states, “And this is the confidence that we have toward him, that if we ask anything according to his will he hears us.” If God does not answer a prayer in your life, it means it was not his best for you and it was not in alignment with his will. Can Single Christian Guys and Girls Really Be “Just Friends”? Why Does God Allow Disobedient People to Get Married?